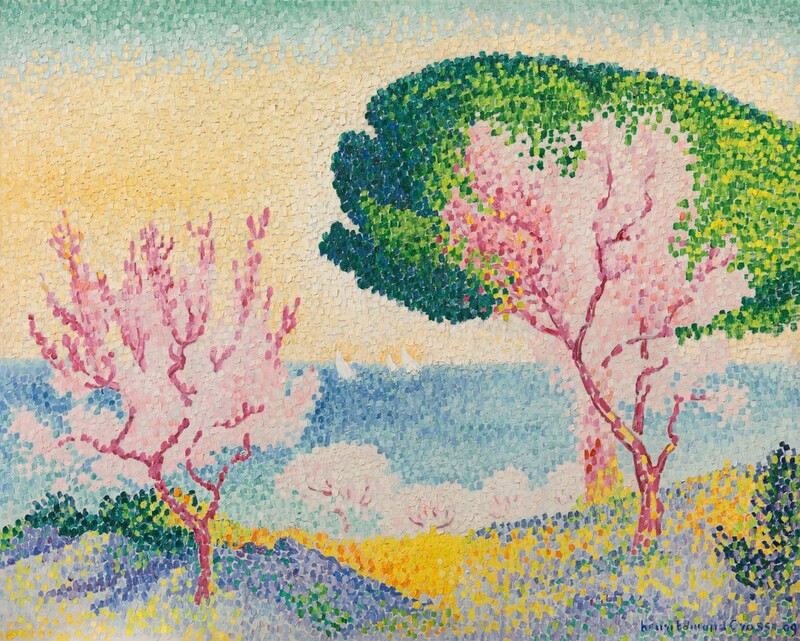 Printemps rose by Henri-Edmond Cross (1856–1910), previously with Richard Green, is now on loan to the Museum Barberini, Potsdam exhibition, ‘Color and Light: The Neo-Impressionist Henri-Edmond Cross’ until 17th Feb 2019. Curated in collaboration with the Musée des Impressionnismes, Giverny, this retrospective is the first dedicated to Cross to be held in a German museum. Henri Edmond Cross (1856–1910) is widely considered a leading exponent of French Neo-Impressionism. Situated between the Impressionists, such as Claude Monet, and the forerunners of Expressionism, including Henri Matisse, Cross’s oeuvre marks a crucial step in the path towards colour as an autonomous, abstractive pictorial device. In Germany, he was celebrated early on as a pioneer of modernism. Alongside his prominent role within the Neo-Impressionist movement, this exhibition examines his influence on later developments within the French avant garde, illuminating Cross’s significance as a major pioneer of 20th Century painting.